An effective landing page is the strength of any online marketing campaign. It is therefore imperative to study and test it with the utmost care. Otherwise, potential customers will not perform the action for which the page was designed. But how do you create a landing page that can sell and make money? In other words, you want to maximize the conversion rate of your landing page. There is no valid prescription for every occasion. However, it is possible to list a number of tips that are useful in most situations. The headline is the opening slogan of your landing page. Its purpose is to capture the attention of potential customers. It is the most important element of the landing page and in fact it is read about five times more than the body of the offer. The headline has a difficult task: to summarize the landing page and indicate the main benefits of the product. In addition, it should intrigue the reader so much to push him to continue reading. All in one or two rows to the maximum. – use a color that stands out well in the eyes of potential customers. The headline may provide a title and a subtitle. For example, a question such as the title and its response as the subtitle. the headline should start with “How To” or “Learn how to“. The center of your attention must be the needs of the potential customers, not the product you sell. Therefore, the landing page must immediately explain what happen if someone will buy your product. At this point, put yourself in the shoes of your clients! In a clear and concise way, you should discuss the benefits of what you sell. Be practical: they are the facts that speak. Write in a simple language. Report data and evidence to support the credibility of your product. A landing page that lists only the characteristics of the product will never sell as a landing page that explains how the product will solve the problems of those who buy it! On the web, you should never overdo the graphics. Therefore, the layout of your landing page must be sober and clean. The graphic layout must have a single purpose: to guide the user to perform the action you want. Often, this means that the look should be functional to fill in the contact form. It must be consistent with the style of the message you want to propose. Otherwise, your potential customer will be confused and ask themselves, “Am I really in the right place?”. Finally, a landing page should be quick to load. Because if your potential customer has to wait too much, he could decide to go away. So be sure to reduce to a minimum the weight of your page. Be sure to place the call to action in a clear and visible spot. The action should be easy to complete in order to facilitate as much as possible the commercial contacts between you and the potential client. Also, the call to action should be repeated several times in the page at regular intervals, perhaps by changing your message. If the landing page is long, at least one call to action should be above the fold. While creating the content of your landing page, keep in mind the important rules of online writing. The style of your communication must be adapted to target your potential customers. It is worthwhile for you to do a little more effort and write a text that is really as simple as possible. Be sure to set the degree of legibility and comprehensibility of your text. Your landing page must have content written in a perfect language. Errors of spelling, grammar and syntax demolish your credibility in the eyes of your audience. It drastically reduces your chances of selling. The landing page must show the product through pictures, photographs or video. For example, you may enter a video that shows how to use the product. Filling out the form or purchase order of your landing page should be easy and fast. The action must take just a few steps. For this to happen, the form should have a few fields. Also because people do not like to fill out any form. The best place to put the labels of the fields is above them. However, you should leave sufficient vertical space between a field and the other, otherwise potential customers will not understand if a label refers to the field above or the one below. Before launching a campaign, you need to test multiple landing pages. In fact, only trials can show what will be the one with the highest conversion rate. Therefore, you should test, test, test! Do you have any other suggestions in order to create the perfect landing page? A landing page that converts is a delight for any marketer.It becomes imperative to apply create this type of page on a blog or website. There are a number of factors that may prevent a landing page from converting traffic. Luckily, most of these can be taken care of by the blogger. The tips shared in this post are spot on! More so, the skill of making a landing page share benefits more instead of features is invaluable in making money for the website! So, this is my best takeaway from this post! Very informative post! As a blogger or any website owner for that matter, the landing page should be a vital part of their marketing strategy. The readers are already overwhelmed with so much stuff being thrown at them and the landing page minimizes that by providing “what’s in it for me” information to the reader. These days you do not even have to know html to construct an awesome landing page. There are numerous programs that do all the work for you. Your points are spot on in regards to how to construct a landing page that converts. You are right you also have to test and track. I personally use A/B testing on all of my pages to see which one is converting the best. Without tracking you really are shooting in the dark. I use Premise for my landing pages, it is such a great tool. Or just to get more RSS Feeds subscribers. That optin you see below my post is from OptinSkin. Thanks for reading and sharing your view, Nathaniel. I love the second point where you mentioned “Write about Benefits, not Features” it is better writing to focus attention of the landpage to BENEFITS, instead of writing blah blah about the features the product has to offer. A very clean design of landing page have a very long way to go in determining a successful campaign. The placement of ACTION BUTTON, is very important, it must be place in a very visible place. Thanks for sharing this few tips with us and i hope my comments add value to this post. I think headlines are 50% of work, if done the right way. There are best practices to create a high-converting landing page. Marketing will not be all set without an easy and compelling landing page. Marketers opt to have a page that will draw people to click, surf, subscribe and buy. In all probability, you don’t want people to just visit your page. I have no doubt with your list. They are awesome and functional. These are the nuts and bolts. Dead on man! Benefits over features. We dream of benefits, of traveling, having more money and all these dreams. Features like “free autoresponders” rarely enter our dreams lol….thanks dude! so I need to work even harder to achieve them! I have seen some landing pages with Facebook commenting plugin. With a huge number of comments (people sharing positive feedback), it tends to attract more signups. What do you think about such strategy – having social media commenting plugin on landing pages? It sounds a big idea! Having a lot of positive feedbacks and testimonials can definitely help to sell more easily. Social signals are great for this purpose. Thanks for adding that, my friend. An effective landing page is one that really converts. No matter you design and optimization, if you haven’t got the conversion or leads you intended to then you still have work to do. You have highlighted tips to creating an effective landing page,and i have to review my landing pages once again. Thanks for sharing. Well to be honest I never worked on landing pages thing, but used landing pages which I’ve get ready made. I guess these landing pages tips are really beneficial to me for implementing directly on my blogs. Especially for building your mailing list, or for selling your product – for example an ebook. Great writing.I prefer your point where you have told to “use media”. Yes, nowadays media helps a lot in spreading your business.And if you can create an impressive landing page with pictures and videos then it will definitely help you to drag lots of visitors.Thanks for sharing this valuable content. I am glad you enjoyed the content in this post. Thnaks for reading and commenting! Thanks Erik for revealing how to create lead capture landing page. I do agree with you. Strong and prominent call-to actions can really enhance the conversion rate. Nice tips shared here for a converting landing page. Clear call to action is the most important thing for a good landing page. Thanks for sharing your comment here. Landing pages are something which is really important for internet marketers and if worked correctly then we can easily generate good amount of leads. I’d certainly test all the tips. You have done a great job. 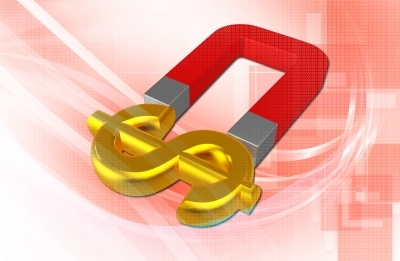 A landing page is most important that convert visitor into money. All points are well described and useful. Thanks for the great stuff. thanks for your comment, Fakharuddin. Your 2nd and 3rd point are very awesome…. What’s the purpose of your landing page if it doesn’t bring your profits? The tips given above are all valuable and helpful. As what I’ve read here, you should create an effective headline. That only means that you should make it engaging enough to attract possible customers. Also, you should write benefits instead of features. The audience will be more attracted if ever you will write it that way. Add powerful CTAs, make your layout clean and neat, and ensure that you use simple and not complicated language. This article is really a timely help. I am very much interested in creating a ebooks. These strategies of creating a profitable landing page will definetely help me. Will make sure to input your thoughts when I do one. I haven’t created a landing page in a few years now so I need to practice and this post will definitely help me. I remember having made some in the past and I did test which one converted better. They both did really well so I might have to pull those up to refresh my memory and sharpen my skills. Either way, thank you for this outline and I’ll be studying it more in the coming months. Any landing page should be profitable, with high conversion rates. I hope these tips may help someone in this matter. Thanks for sharing these nice tips. Hope it will work for me. Landing pages are like a part of internet marketers life and they are really important to generate more sales and also increasing email subscribers. Thanks a lot for these tips. As landing pages play an important role in improving the rankings as due to recent updates by Google many websites have suffered a lot and penalized by Google. Thanks Minakshi for the kind comment. Landing page always play a vital role in lead generation. effective landing page delivers the best and online marketers should think about it. SEO, Inbound Marketing and other marketing tools used by the marketers but an effective landing page is essential. Thanks for your comment and kind words, Alex. Thanks so much lot for these tips. Certainly landing pages play very important role in generating income online. These tips will help a lot of us to do better than we have done in the past. Landing pages highly great technique to make money blogging. I hope your post can help many learners about how to do anything from blogging. Great post!